My wife bought me this set for Christmas and it’s a perfect combination for venturing into the word of DE shaving. After the very tentative first strokes I’m a total convert – I’ve never had a shave so good, and without any irritation. It takes a bit longer than my normal quick shave in the shower, but it’s worth it for the results and the pampered feeling you get from the delightfully creamy shave soap. Great kit and amazingly close shave when compared with disposables, even the more expensive brands. Nice and easy starter set with everything you need at a good price. I found the razor to be neither too aggressive or relaxed and the packs of blades are a nice touch too. Well thought out kit with quality products inside. Would highly recommend to anyone looking to start shaving DE. Magical, as someone who had dry skin with electric, obvious razer burn with disposables; this was like an ascension or closely guarded secret I’d hardly heard off! If you have sensitive skin, don’t hesitate to try, I now look forward to shaving, instead of it being painful and a chore. Great shaving kit would deal with shave lounge again thanks! Good value and well thought out starter kit. Great delivery overall with excellent packaging to make sure it arrived undamaged. Product came as described and I have found it to be very enjoyable to use. Would definitely buy from this seller again. A very nice set for beginners. Product is great – it’s turned shaving into an enjoyable experience! Even better was the customer service; I had a problem with delivery (not down to The Shave Lounge) and contacted customer service on the back of it. Their service and assistance was top class! Very pleased. This method of shaving, though a little more time-consuming, produces a much pleasant experience and satisfying result than cartridge razors. 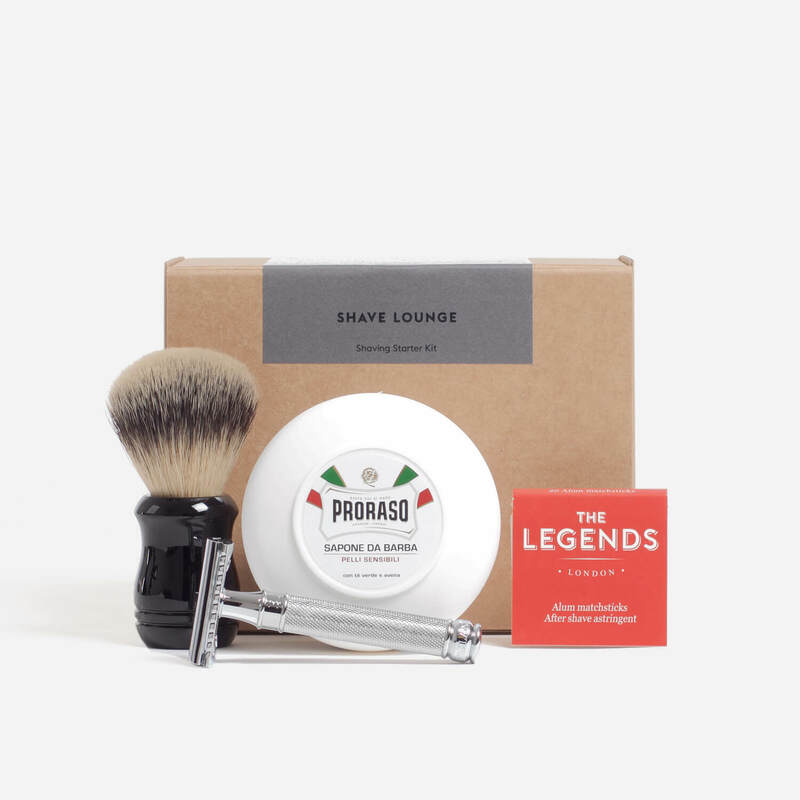 The kit itself is good value, and the inclusion of a selection of razor brands is a helpful touch for those starting out and finding what works for them. The perfect introduction to DE shaving. Great products and great customer service. Thanks. Great kit for a starter! I’m really happy with my purchase. This was my first time purchasing from Shave Lounge and my first DE safety razor. Superb service and equally good products in this starter kit. Very happy and will be coming back for more. Very good set with good quality products. Would recommend. Old school shaving beats any mass produced battery powered thing! I went from a competitors cartridge system to this sensitive kit, I’m glad I did. The knack of the 30 degree shave comes naturally & pretty quickly during the first shave. 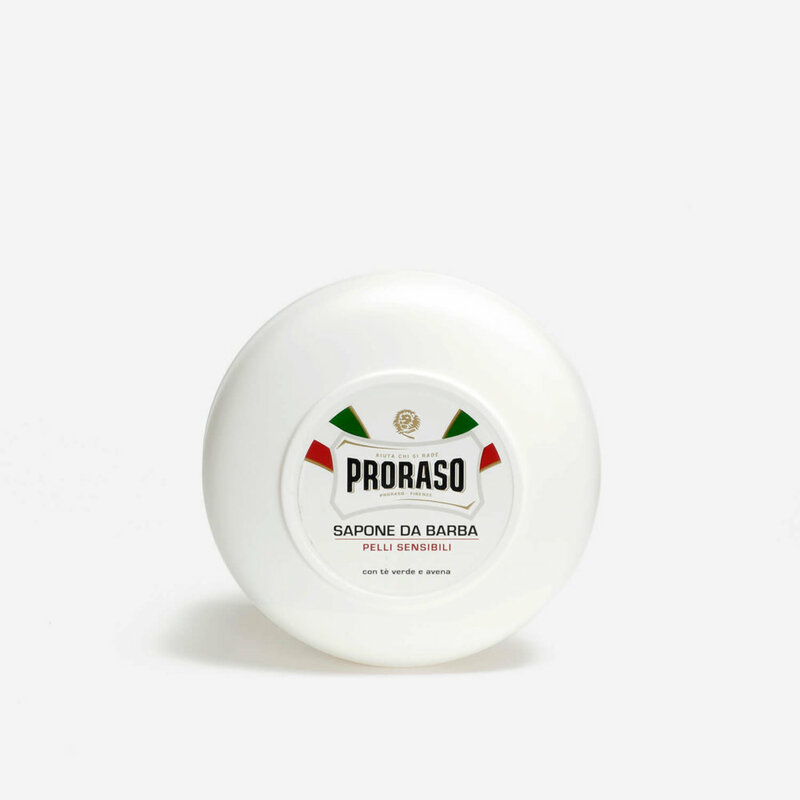 You can tell the Proraso cream is going to last a long time, it works up a lather nicely. I added the Blackbeards Revenge post shave balm to my order. 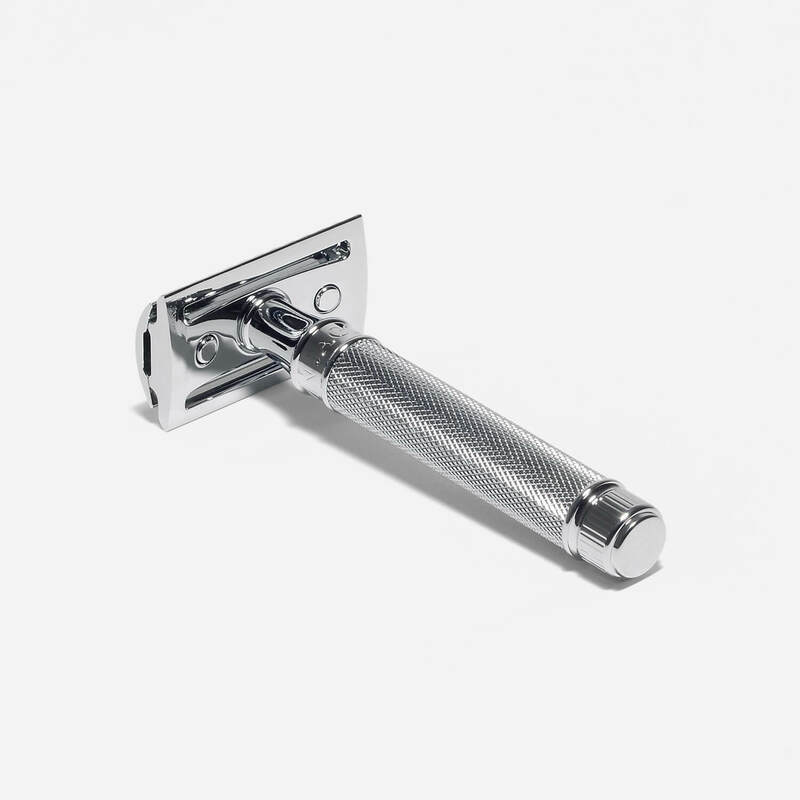 Having never used this type of razor before, I felt ‘at home’ with it. It has a great weight to it, the whole kit is just excellent. After being newly introduced to DE shaving i found this really good deal on The Shave Lounge. The Edwin Jagger DE89 and Omega 49 Bristle Brush are really well made and so far I’m absolutley blown away at the performance for value of money! As a young male my skin is really sensitive in all the usual places but after getting the correct technique and a few DE shaves under my belt i have thrown all my cartridge razors away! The delivery was super quick and i think if you’re interusted in getting into DE shaving you can’t go wrong with this deal!